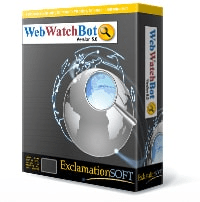 WebWatchBot is the leading website and server monitoring software solution for real-time performance awareness and problem notification. Our customers have been using our software for years to monitor availability, responsiveness, and error conditions. Continuous monitoring from the end-user perspective, inside or outside your firewall with Immediate alerts and actions performed based on failure conditions. WebWatchBot is on-premise installable software that you control with maximum flexibility, efficiency, and ease-of-use. Email alerts to email clients and mobile phones for near-instant notification of problems when the arise to resolve problems so you are aware of problems before anyone else. Standard and custom reporting for deep analysis of historical data collected for trend analysis and proactive problem resolution. In a nutshell: Windows 2003/2008/2012 with SQL Server 2005/2008/2012. Our downloads include everything. Learn best practices and how others have used our product. Join the over 2400 companies in more than 30 countries who have selected ExclamationSoft for their website and server monitoring software needs.